Mission: To inspire youth & young adults to achieve their purpose by providing programs that strengthen the body, mind, & spirit. Vision: To eradicate lack of knowledge & generational poverty in the lives of youth & young adults. The Vision for "God's Promise Campus"
This 2,500 sq. ft building will be demolished and rebuilt as an add on to the Miracles Athletic Center. This will serve as the ministry and office area for other youth & young adult services. This will be converted to a two gymnasiums for indoor basketball/volleyball. 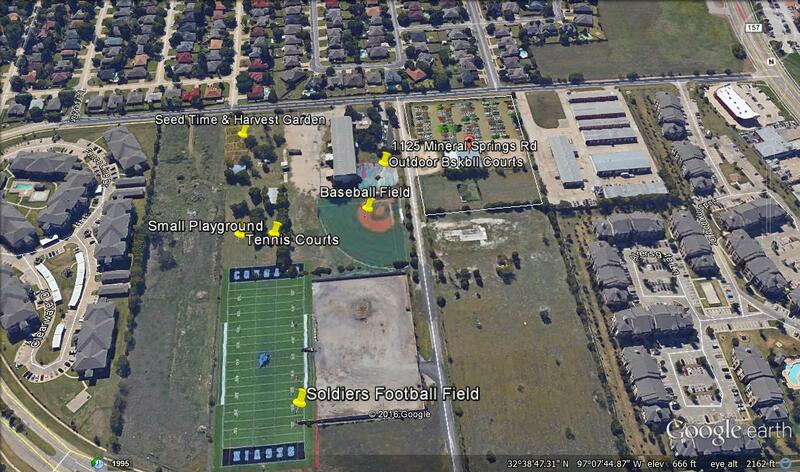 Outdoors: Tennis Courts, Soldiers Field- turf football/soccer field & Bases Loaded Baseball Field. With the help of grants, donations, and volunteers, this will be transformed into two basketball courts to host youth basketball and volleyball activities. This building will be removed to make additional room for youth sports fields. The goal is to ultimately have 3 full sized turf football/soccer fields for youth sports programs. Isn't this land perfect for a track & football field? We look forward to hosting football games and practices for youth ages 4 and up. Finding a field to play has been a challenge for local pee wee leagues.